Welcome to Classics at Lawrence Station where you can be part of all the excitement underway in Sunnyvale. Here, in the heart of Silicon Valley, this great new community is just one block to Caltrain and close to the new CityLine Sunnyvale (formerly Town Center) – a blend of retail, restaurants, parks, residences, and offices. Live the life of luxury at Lawrence Station with four beautiful floor plans, each with three levels and an open concept design. Choose from a 3-bedroom plus street-level den plan or a 4-bedroom plan that includes a street-level suite ideal for guests. 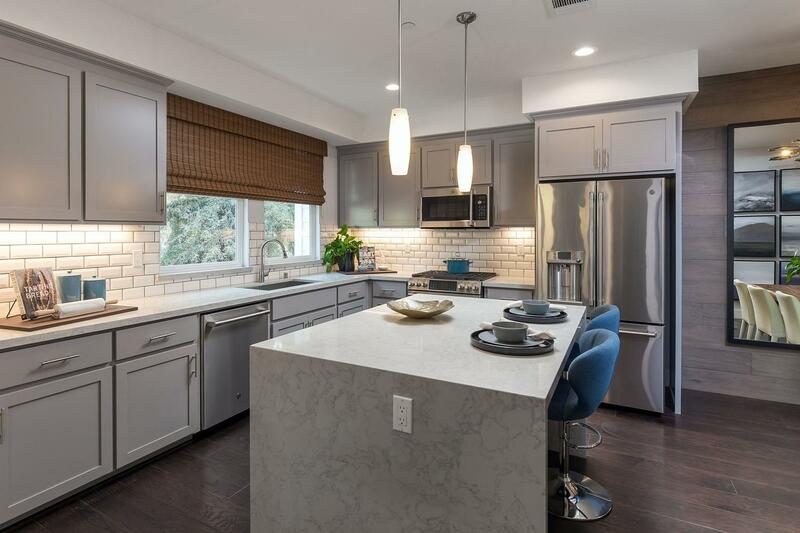 You will love the island in every kitchen that invites friends and family to gather with the chef, the thoughtfully located laundry area near the upstairs bedrooms, plus the convenience of an attached 2-car garage. Lawrence Station is all about community as well with an outdoor spot to entertain and meet the neighbors. This is Silicon Valley living!